St Francis’ Church is the oldest Catholic Church in Victoria and the oldest church on its original site in Melbourne. 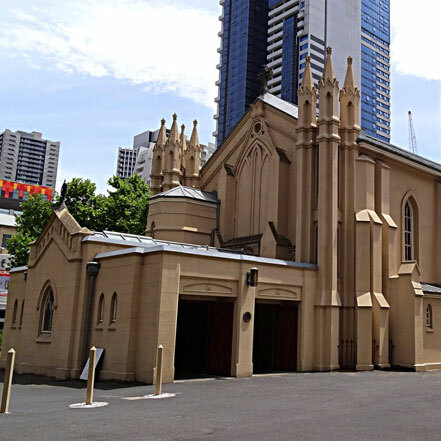 For over 160 years, St Francis’ has been an important place of prayer and worship in the centre of the city of Melbourne. Today, St Francis is the busiest church in Australia, with forty-three masses and over 10,000 visiting worshippers each week.